A colourful jungle animal lacing game. 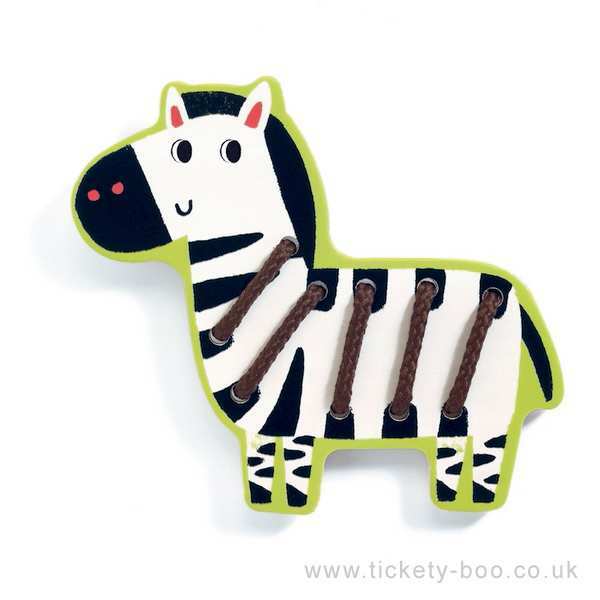 Put the stripes on the tiger and the other jungle animals. 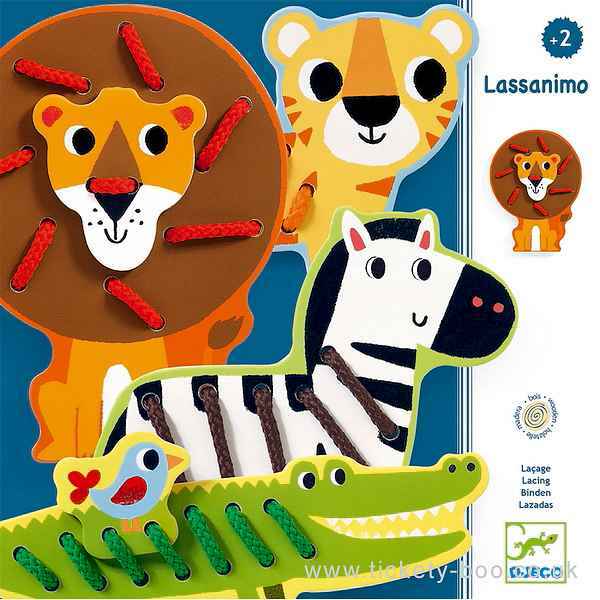 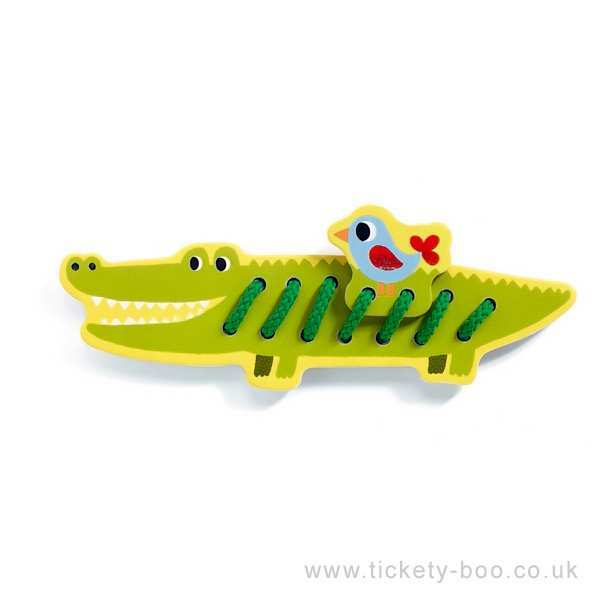 Contains a wooden Crocodile, Zebra, Tiger, Lion with separate face and a bird along with 4 coloured laces. 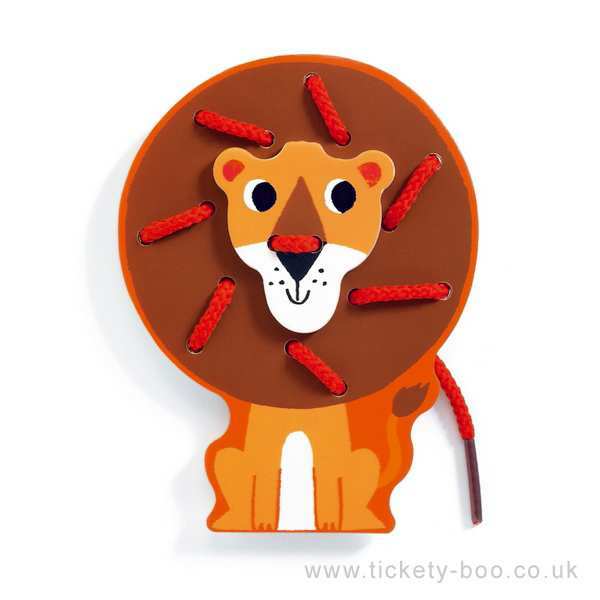 Increase childrens dexterity with these lacing cards with a cute jungle theme.